Be the first to share your favorite memory, photo or story of Ezella. This memorial page is dedicated for family, friends and future generations to celebrate the life of their loved one. Ezella Sears Cartier was born to William and Ann Sears on August 28th 1930 in the state of North Carolina she was the fifth child out of 11 children she attended Howard Academy High School in Ocala Florida where she decided to take up nursing. In her early twenties she married C. B. Curinton and move to Daytona Beach Florida later on she moved to Jacksonville Florida where her sister Ann bell sears where she decided to travel to New York and pursue her career in nursing. New York became her home. Their she raised her 3 children. Shirley Curinton. Andre Carter and Michelle Scott and 5 grandchildren. From the age of 13 years old is Ezella became a hard worker she worked and help take care of her younger siblings. Ezella never met a stranger she was known as Ma or Grandma to everyone Ezella was a God-fearing woman she knew every chapter verse and scripture in the Bible her prayers were always answered. 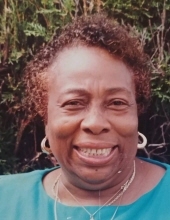 She enjoyed music, Sports, dancing, singing and life itself Ezella was a very spiritual woman who love and serve the Lord. To send flowers or a remembrance gift to the family of Ezella Sears Cartier, please visit our Tribute Store. "Email Address" would like to share the life celebration of Ezella Sears Cartier. Click on the "link" to go to share a favorite memory or leave a condolence message for the family.